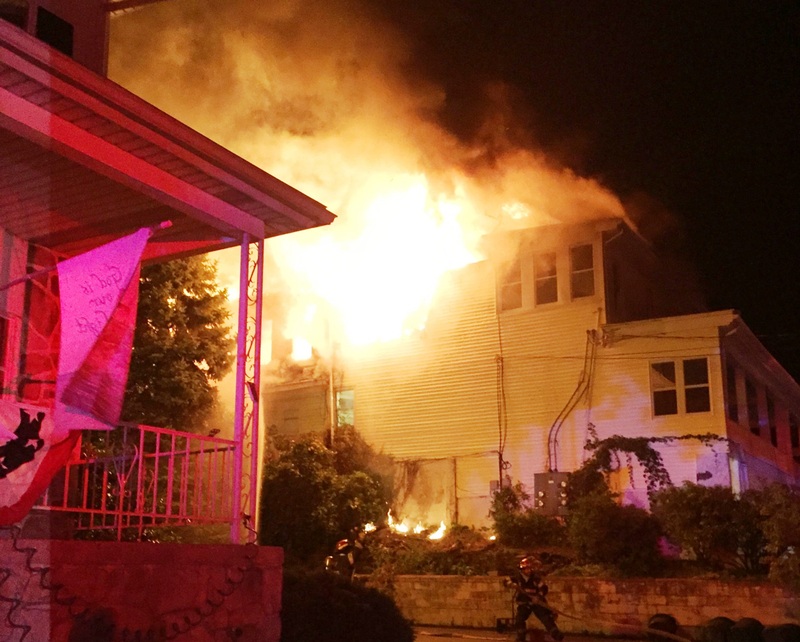 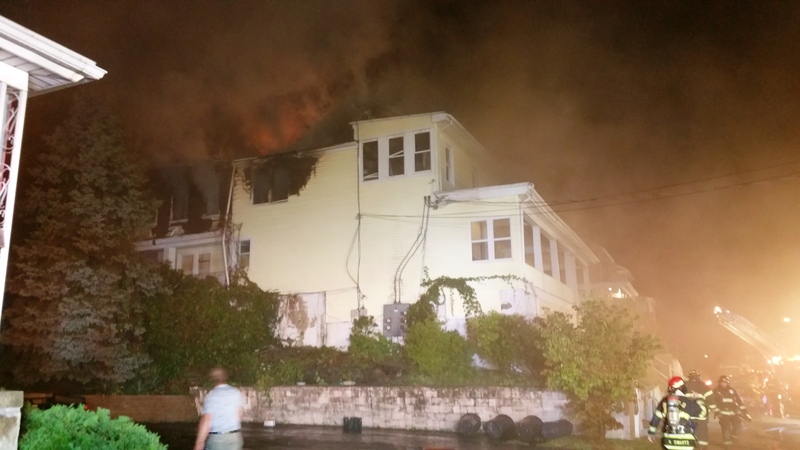 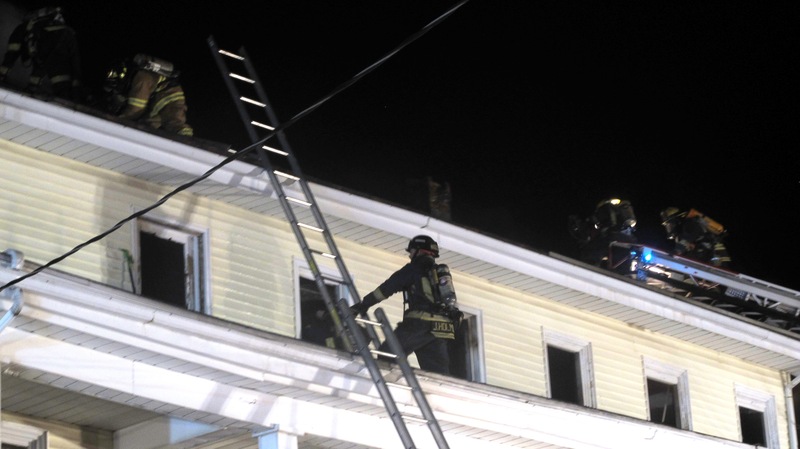 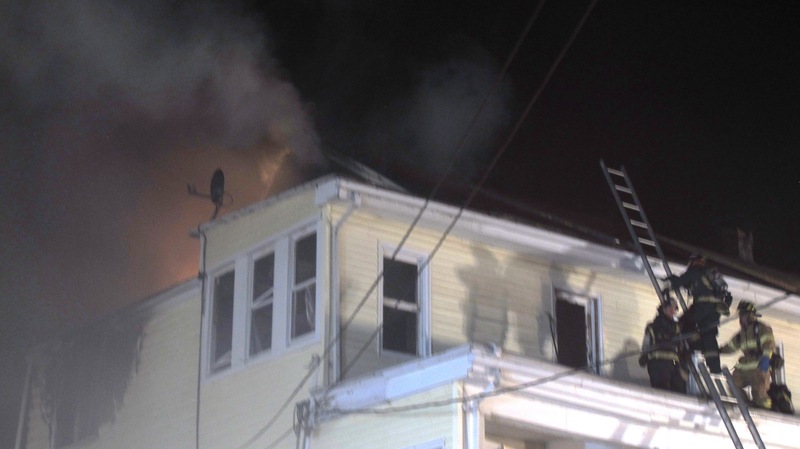 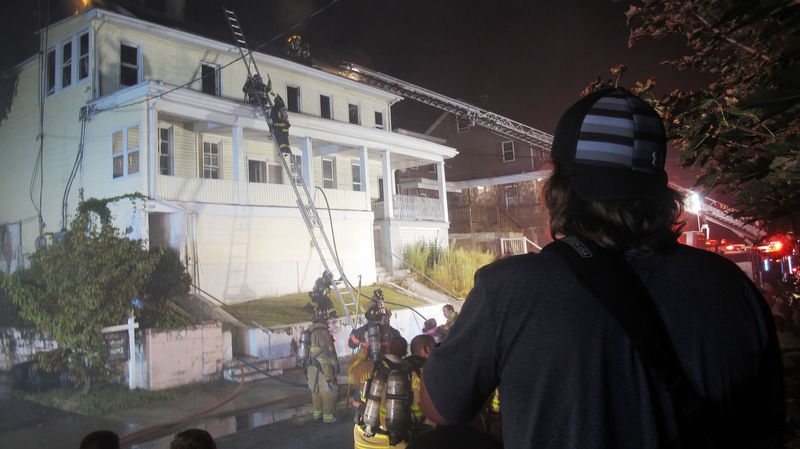 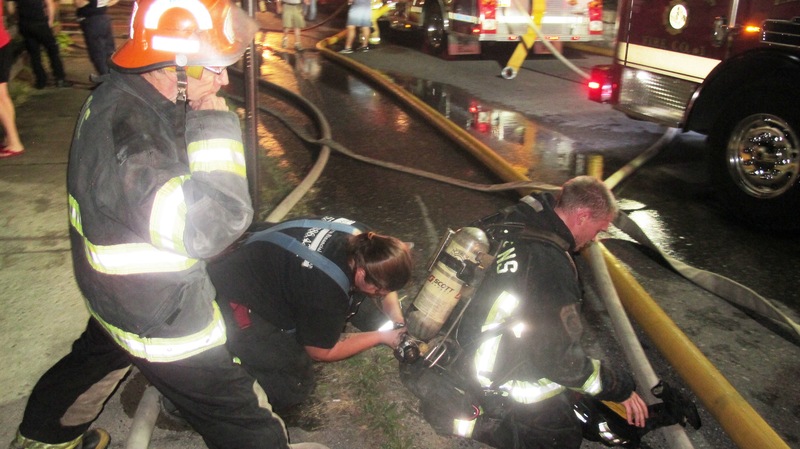 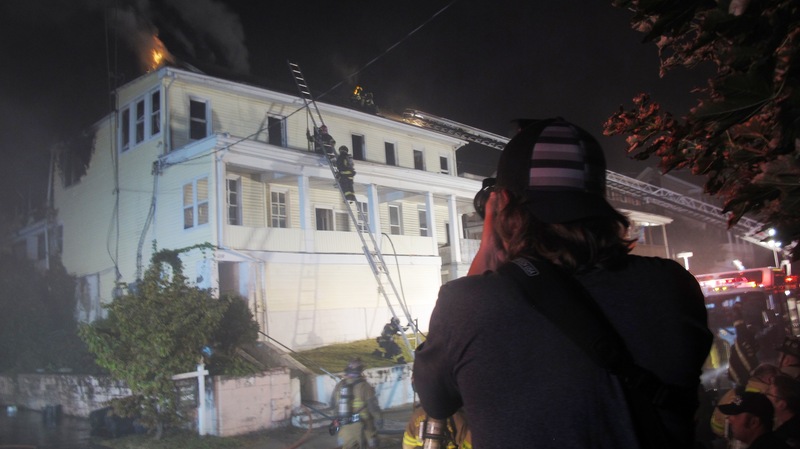 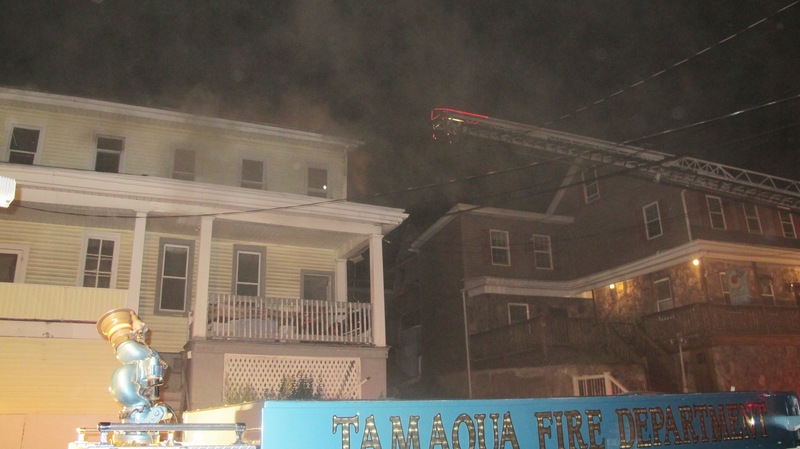 7 people and their pets were displaced following a fast-moving fire at a 4-unit apartment building last night in Tamaqua. 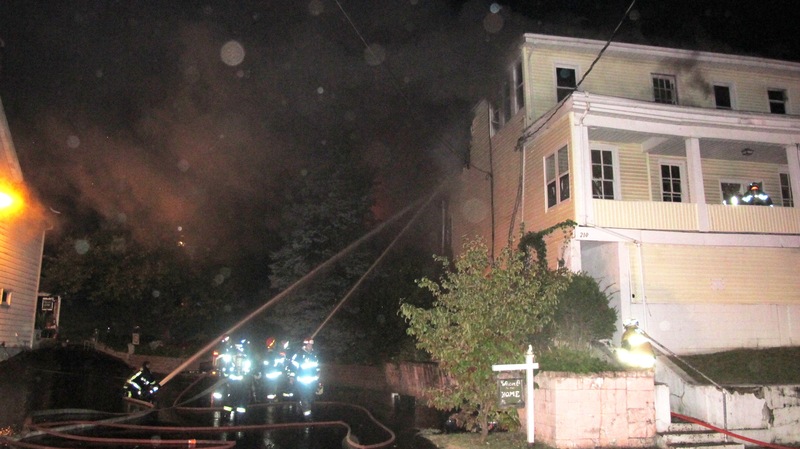 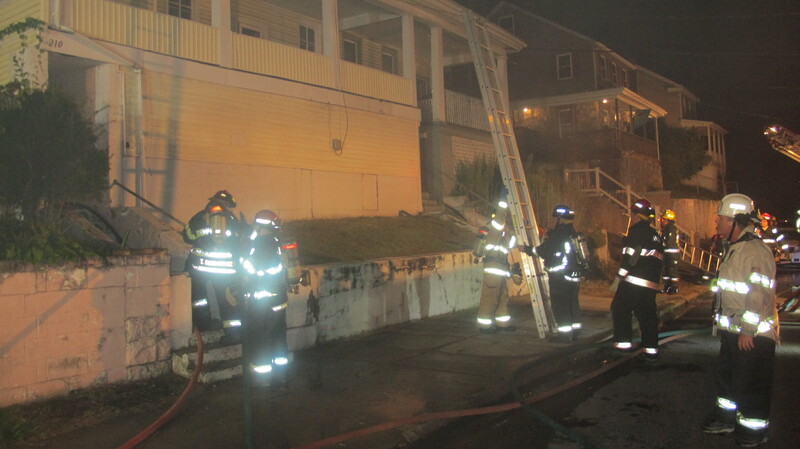 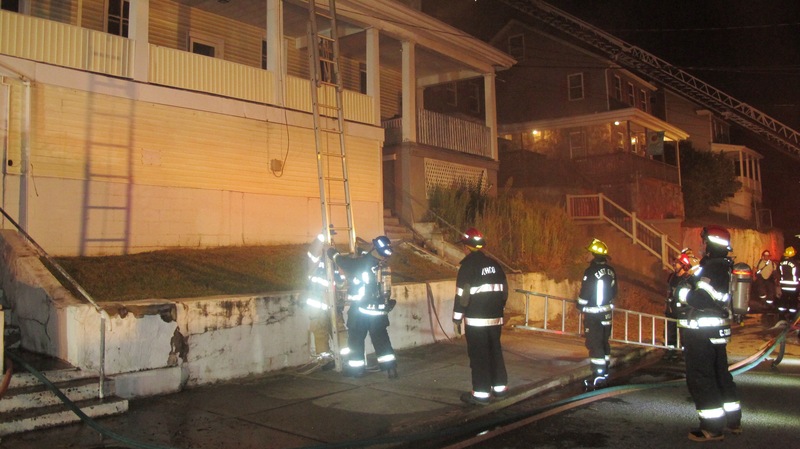 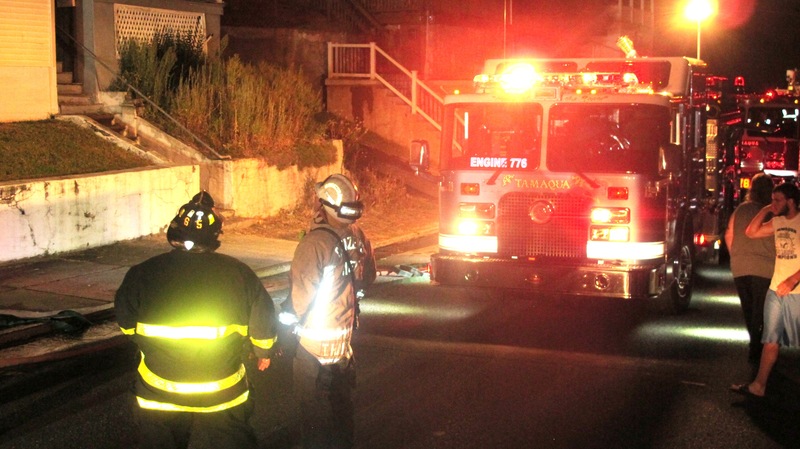 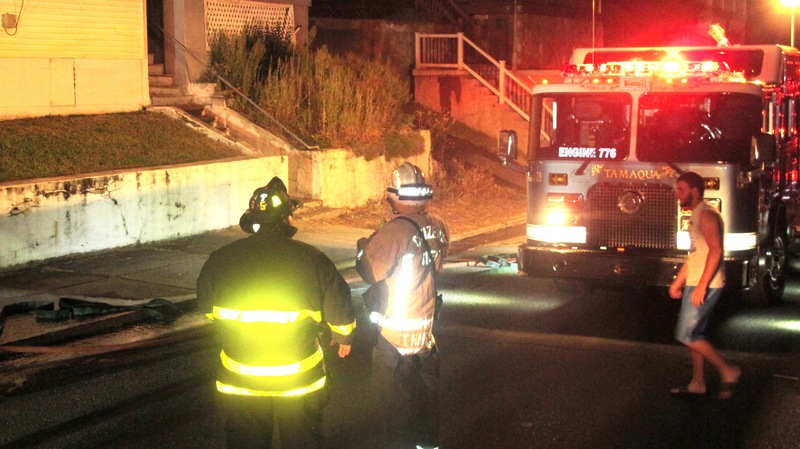 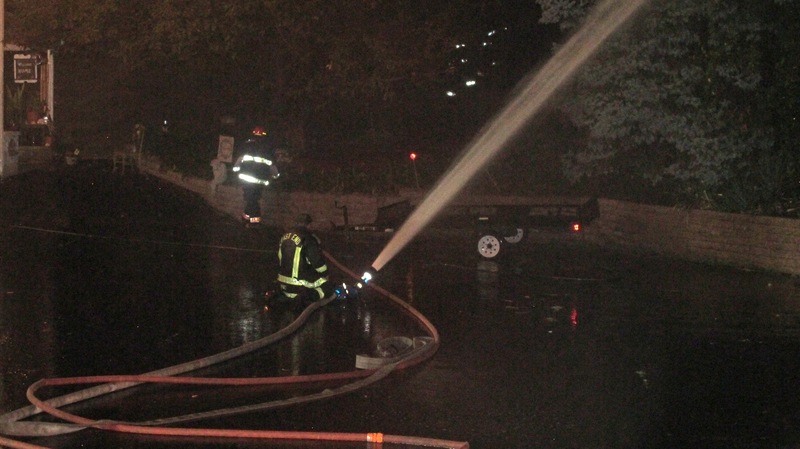 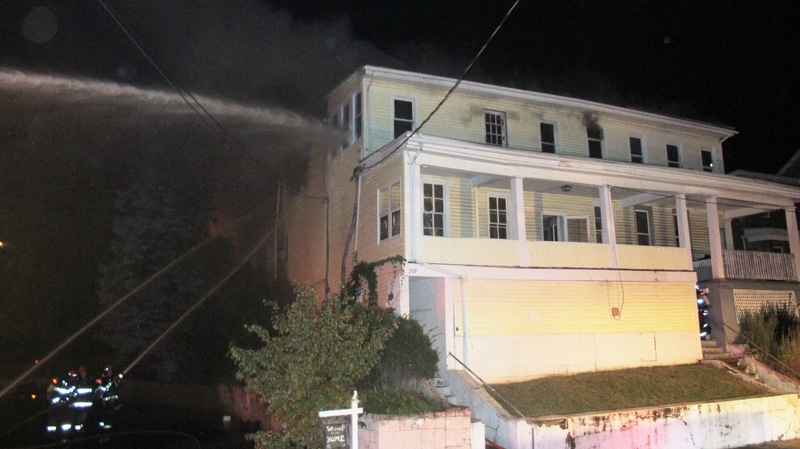 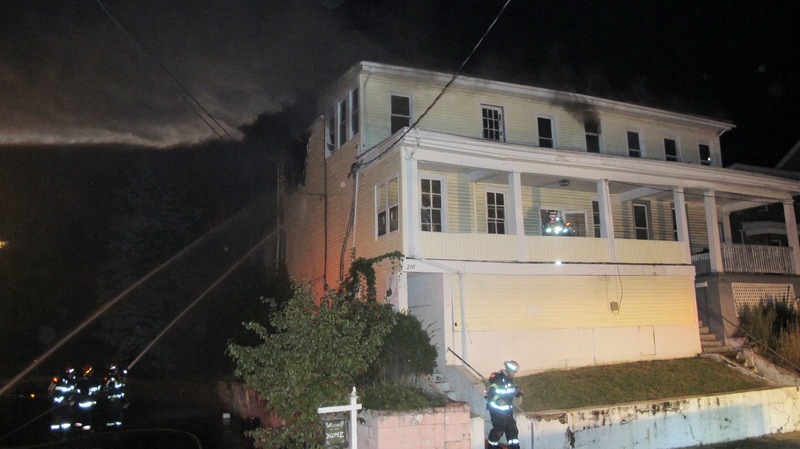 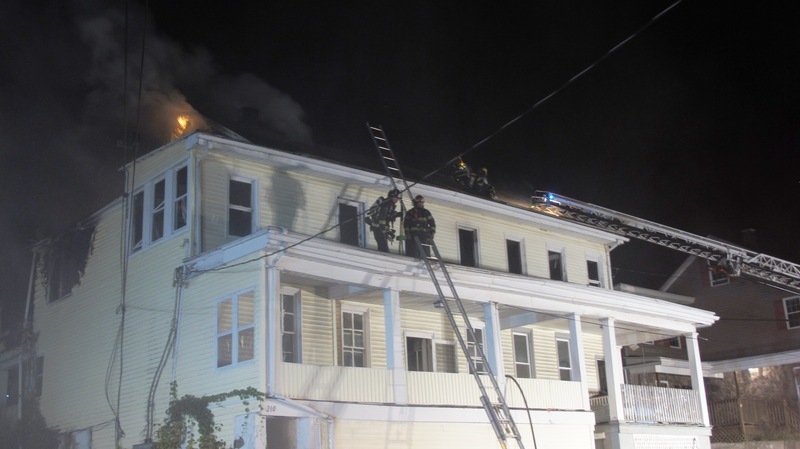 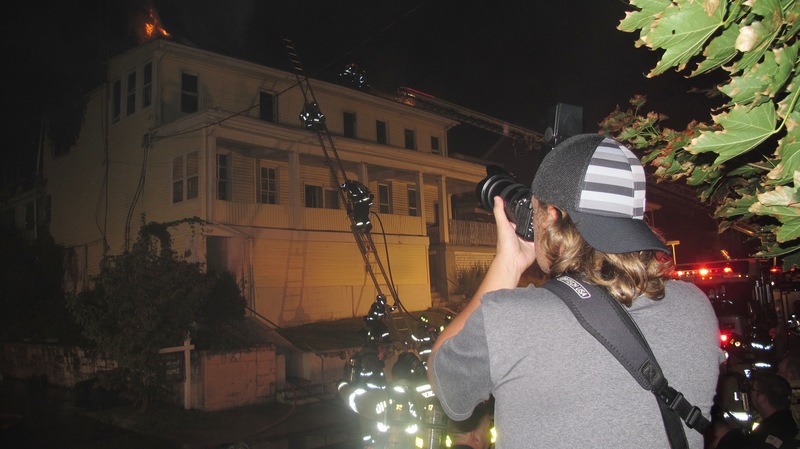 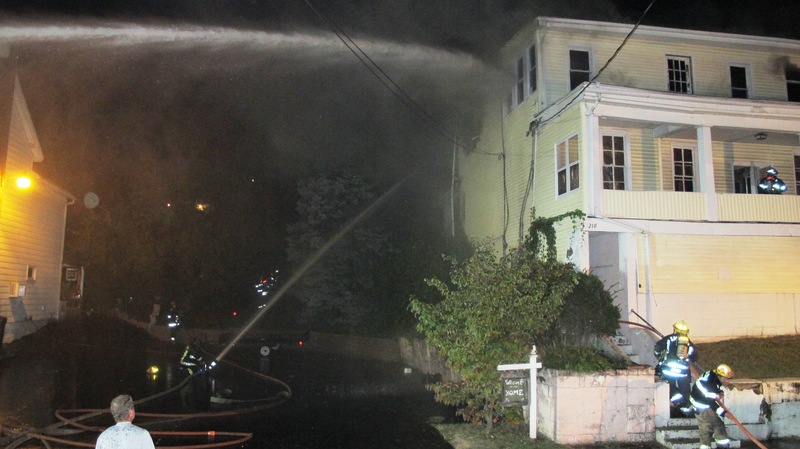 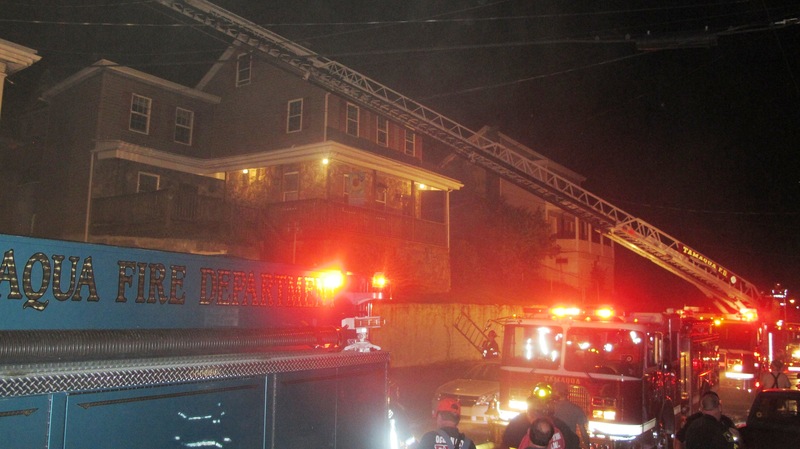 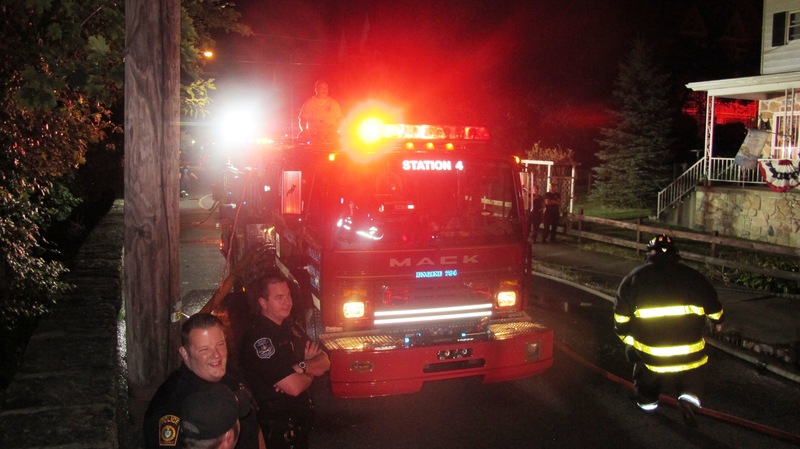 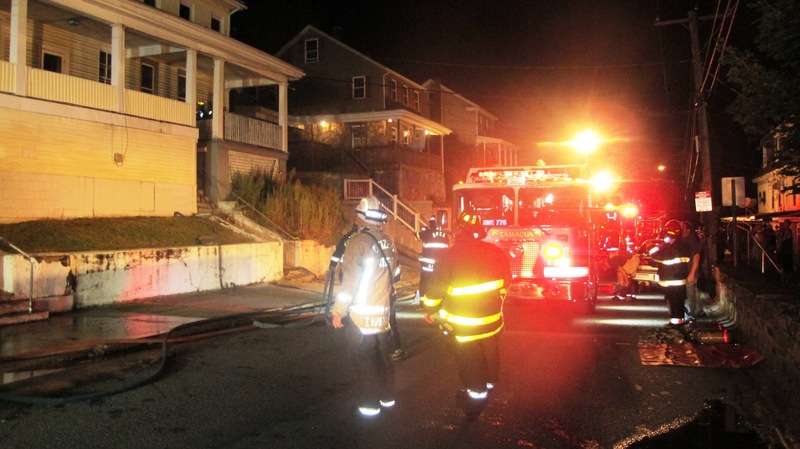 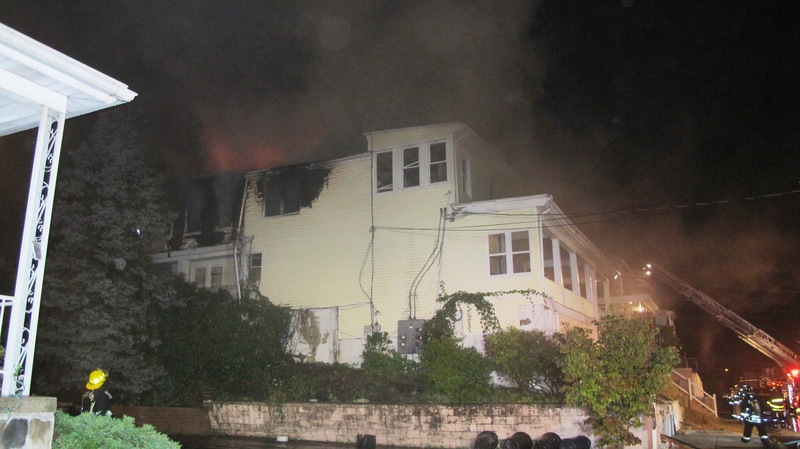 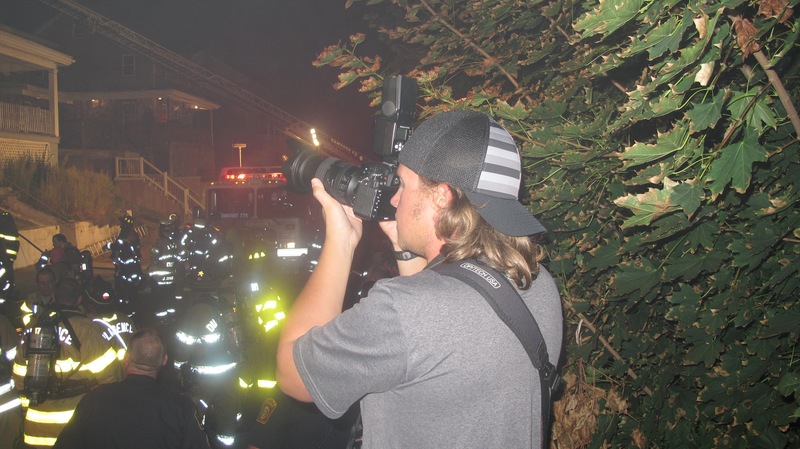 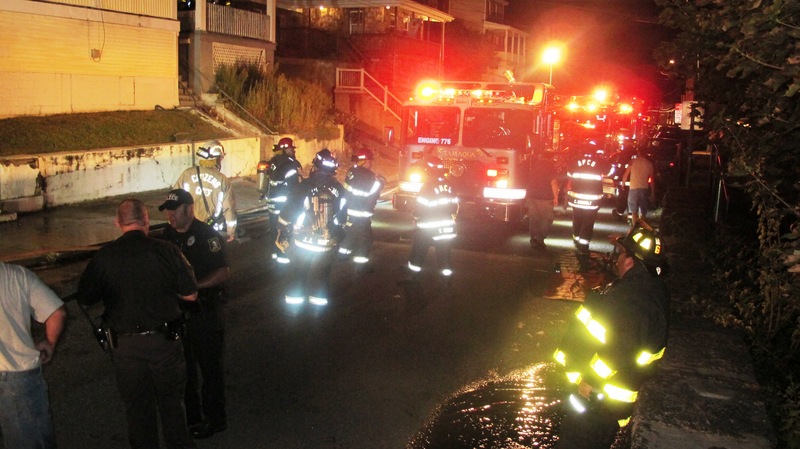 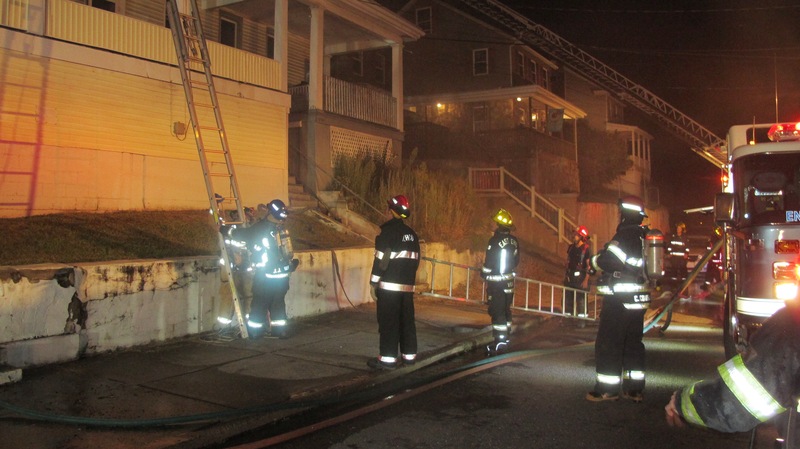 Emergency responders were dispatched around 11:55 PM (Wednesday, September 9, 2015) to 210 Washington Street for a working apartment building fire and box alarm. 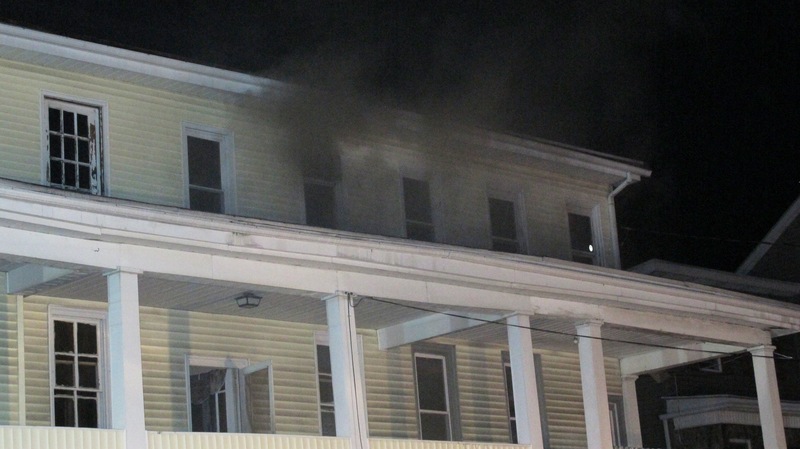 Police and firefighters arrived on scene to see flames shooting 30 feet out the side and back windows of the top floors. 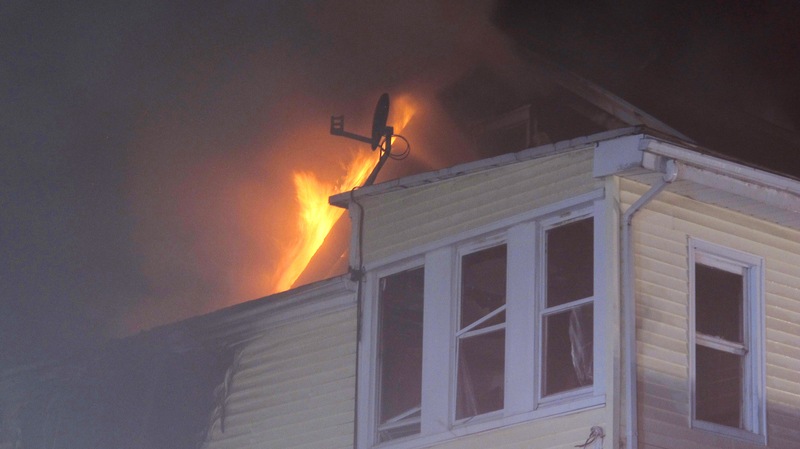 Despite a rapid response by firefighters, the upper levels to the 3.5-story building were gutted. 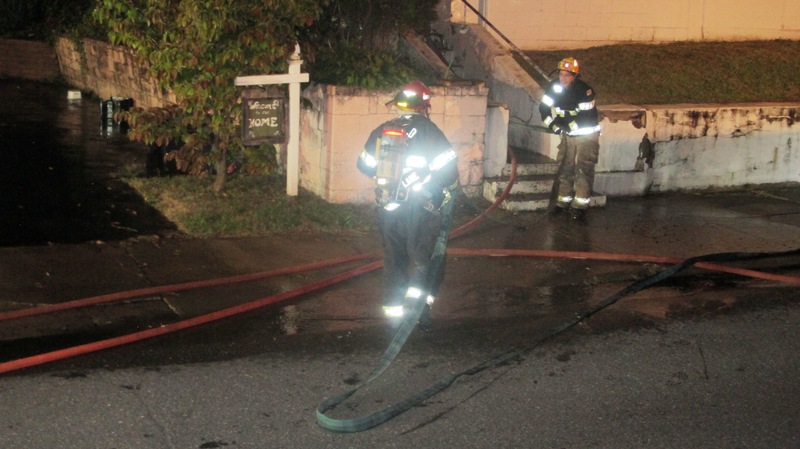 Three of the four units were occupied when the fire started. 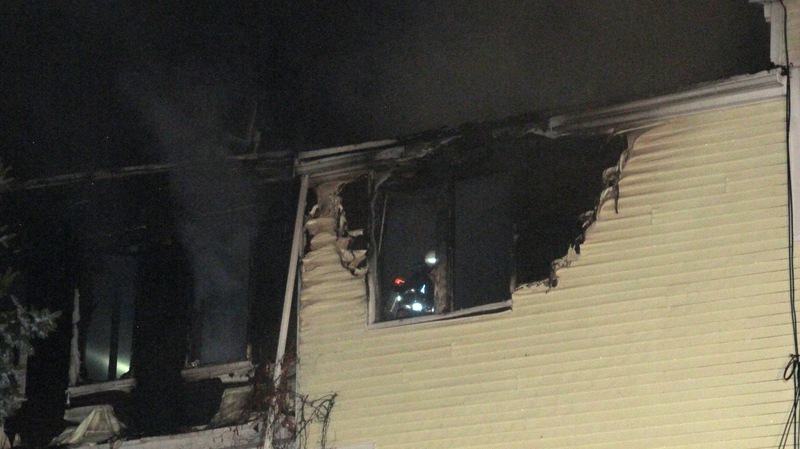 Living in apartment 1 was a man and his shiatsu dog. 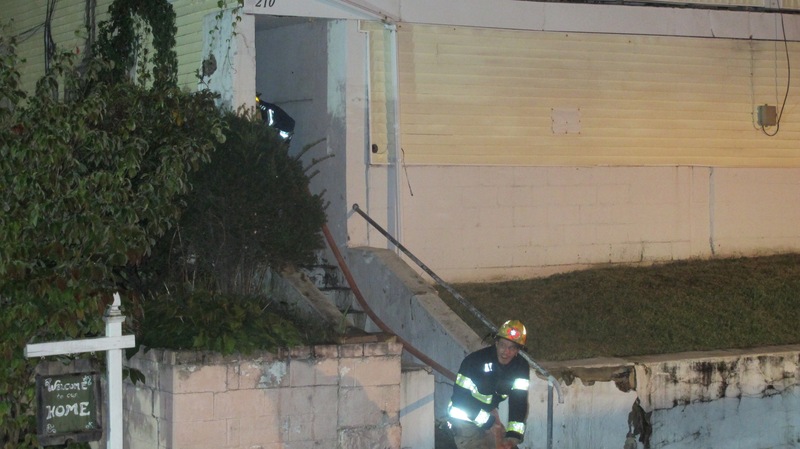 Living in apartment 2 was a woman and her cat. 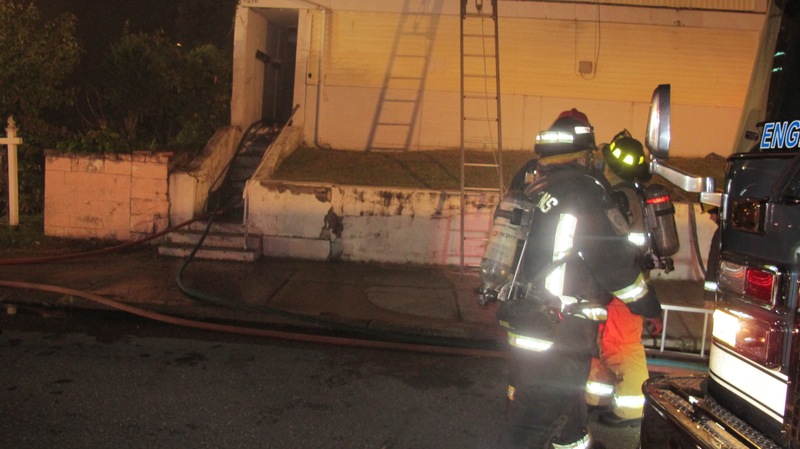 Living in apartment 3 were two individuals. 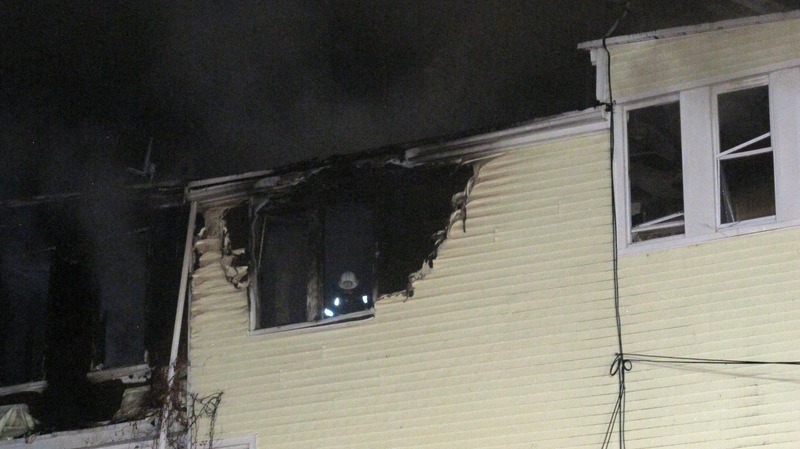 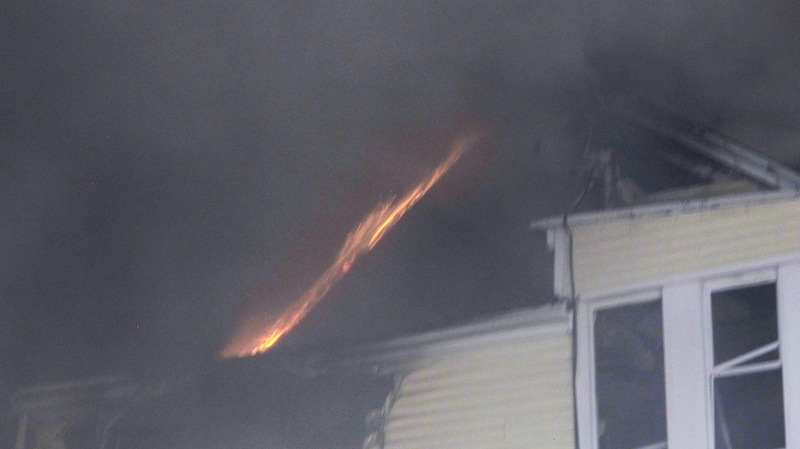 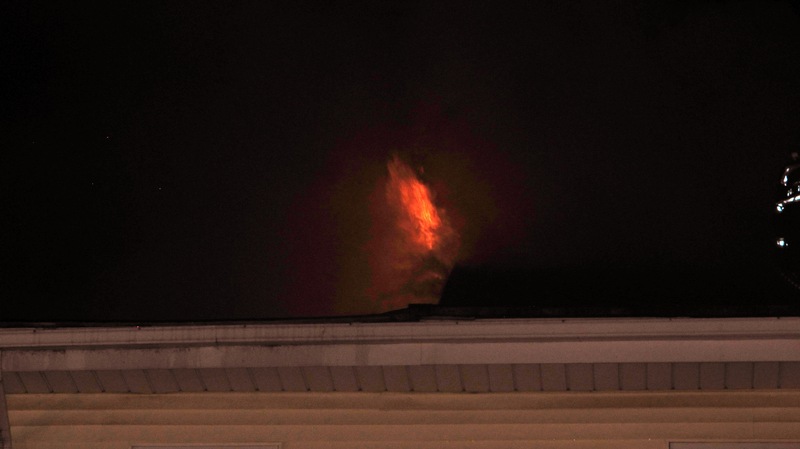 Tenants in apartment 4 (one adult and two girls) were not home at the time of the fire. 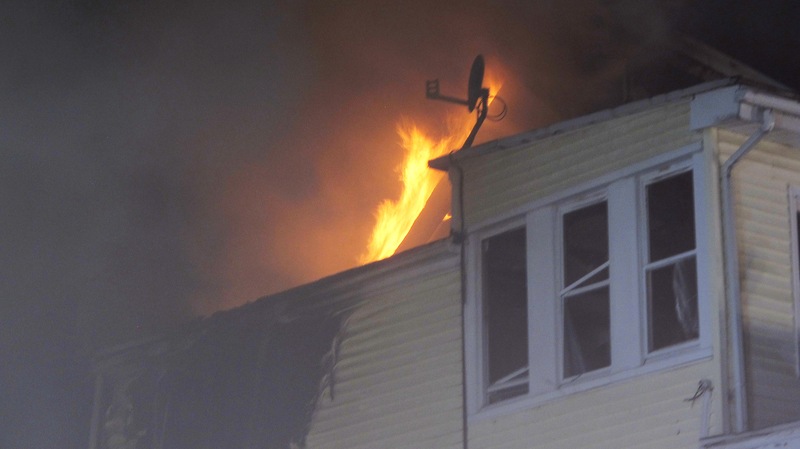 All tenants and their pets managed to escape in time. 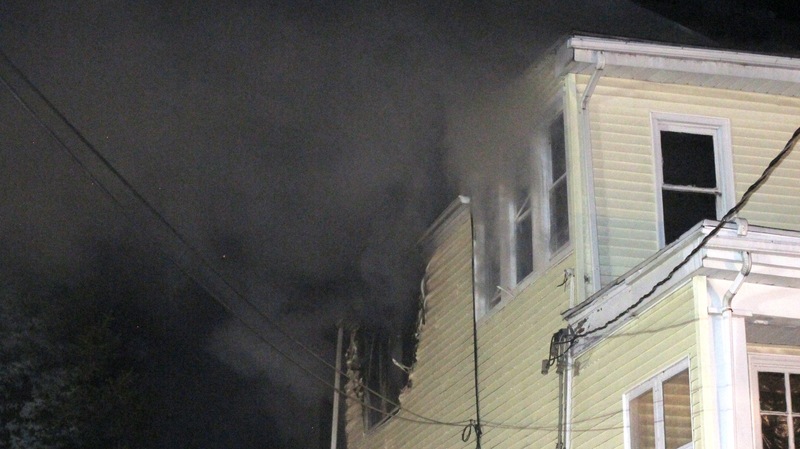 An hour or so after the fire, an older woman from apartment 3 was taken to the hospital in Pottsville. 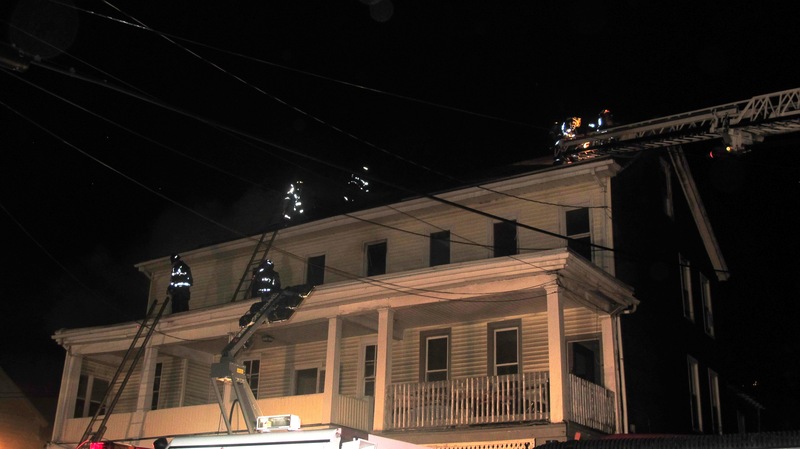 In addition, the top floor of other half of the duplex (212 Washington Street) suffered little fire and heavy smoke damage. 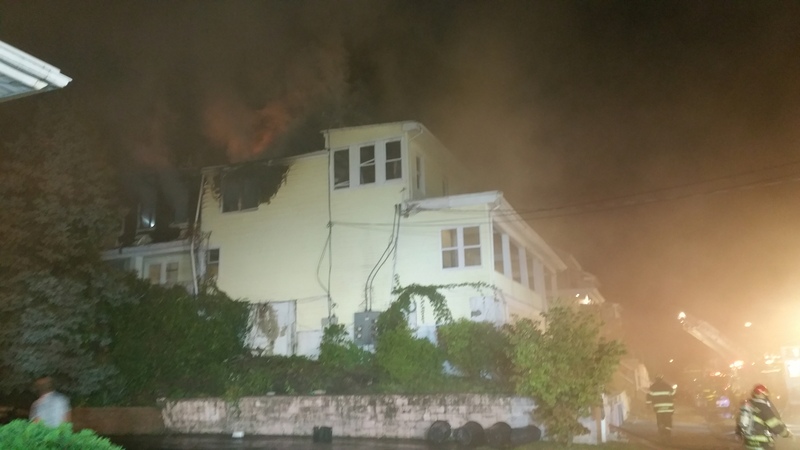 Neighbors said it was vacant and possibly up for taxes. 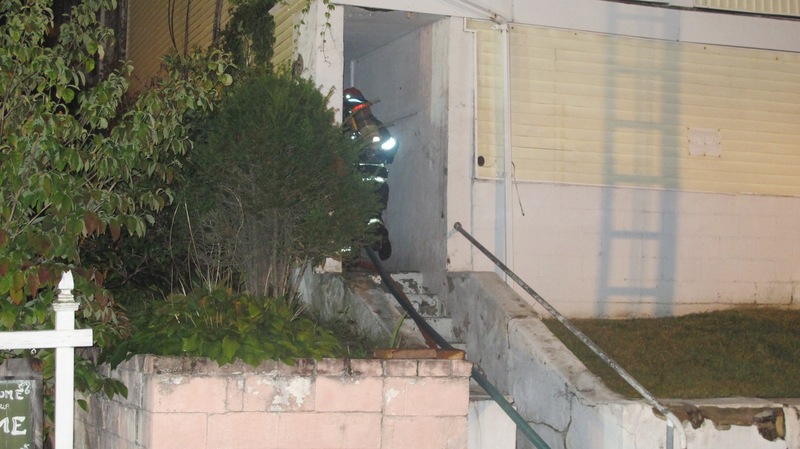 Firefighters had to use force to gain entry into the home. 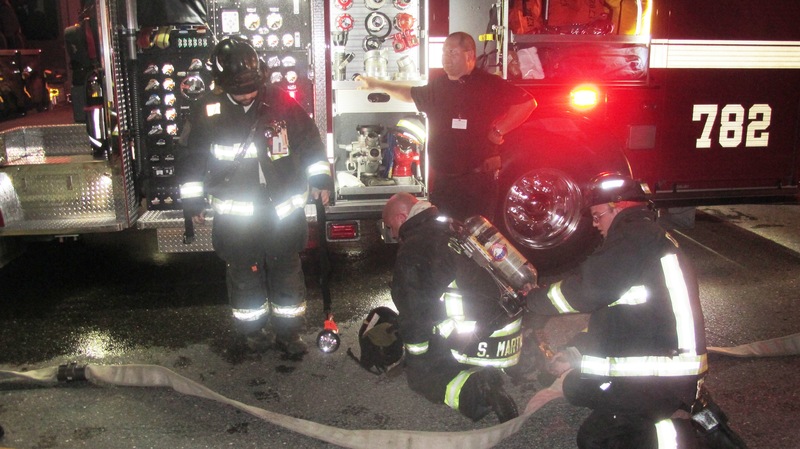 Firefighters, who had most of the heavy flames under control within 10-20 minutes, remained on scene about 5 hours finding and extinguishing hot spots. 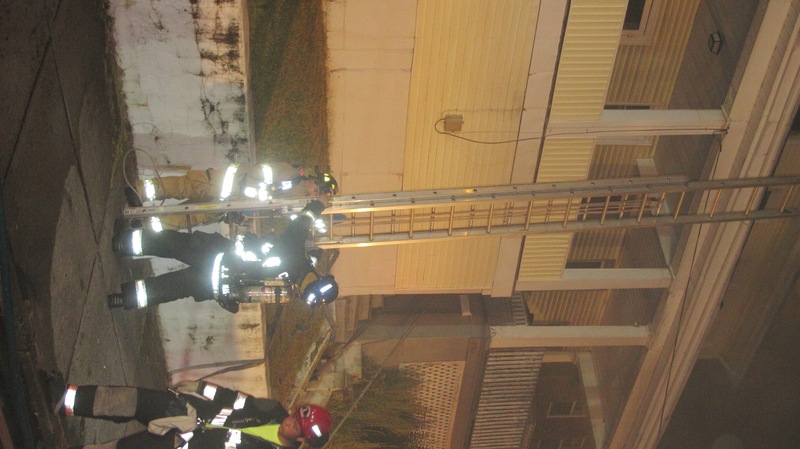 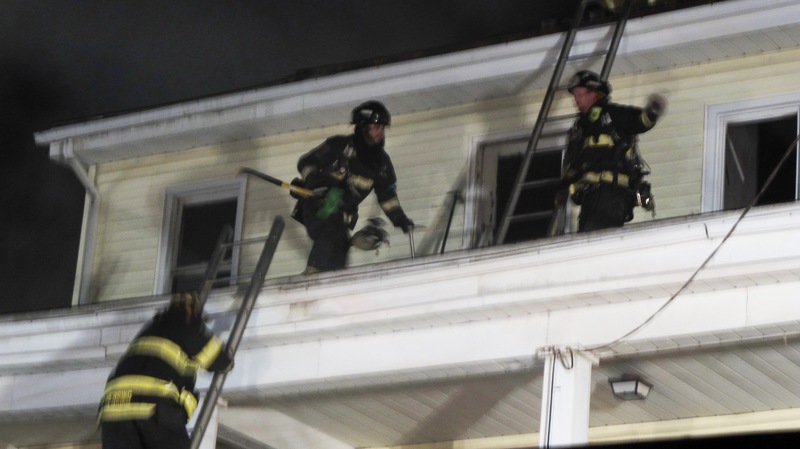 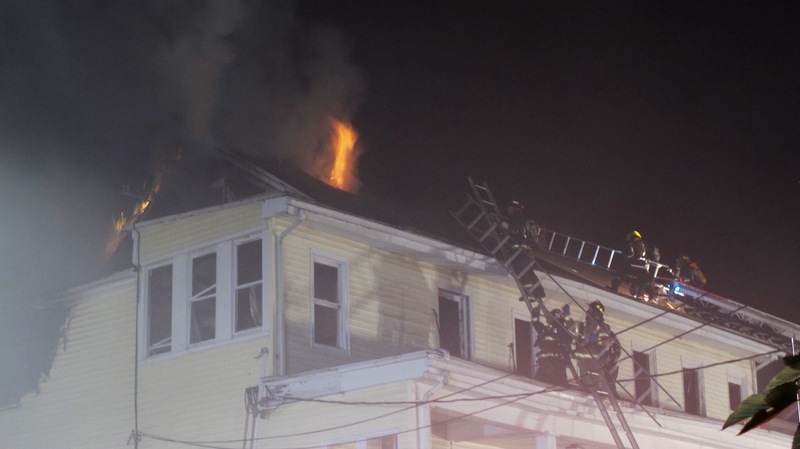 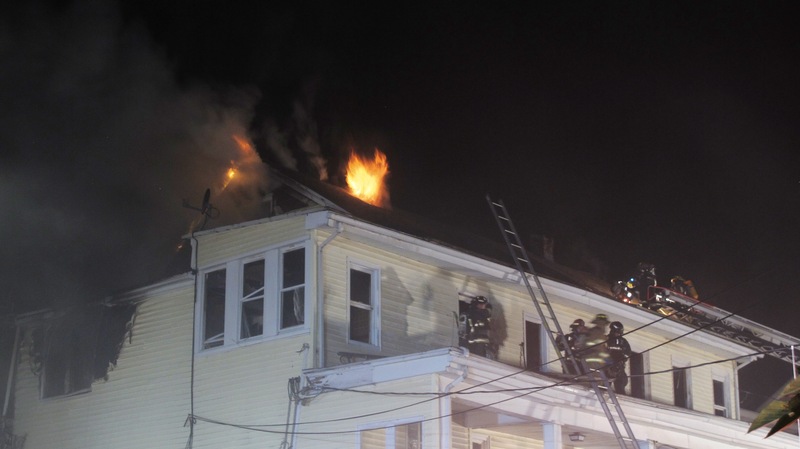 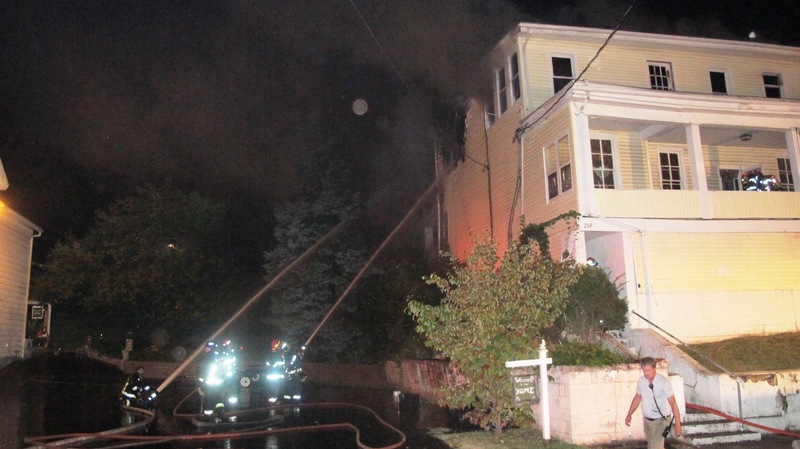 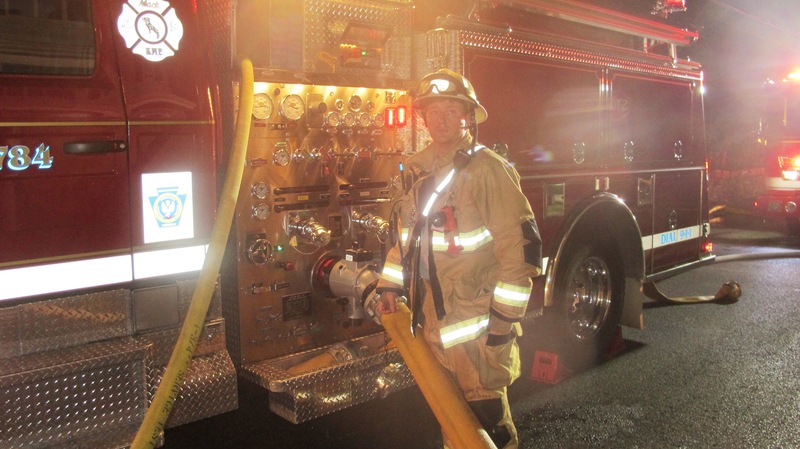 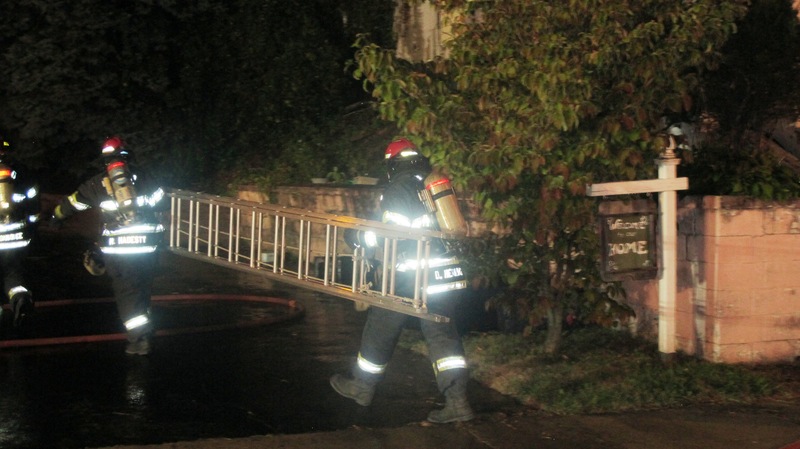 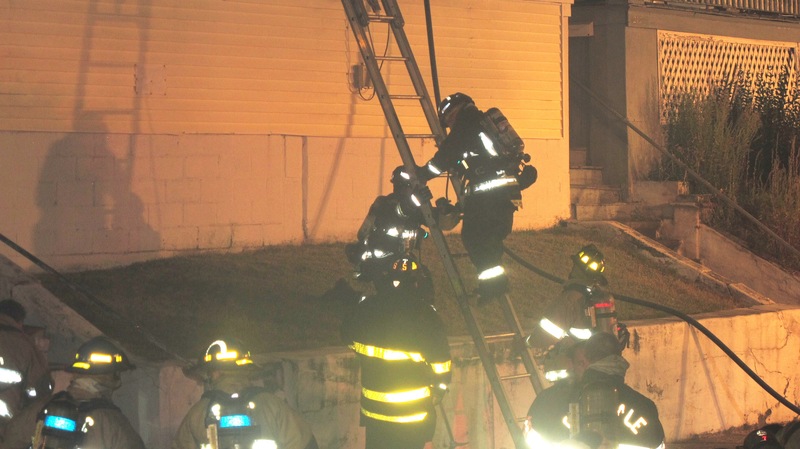 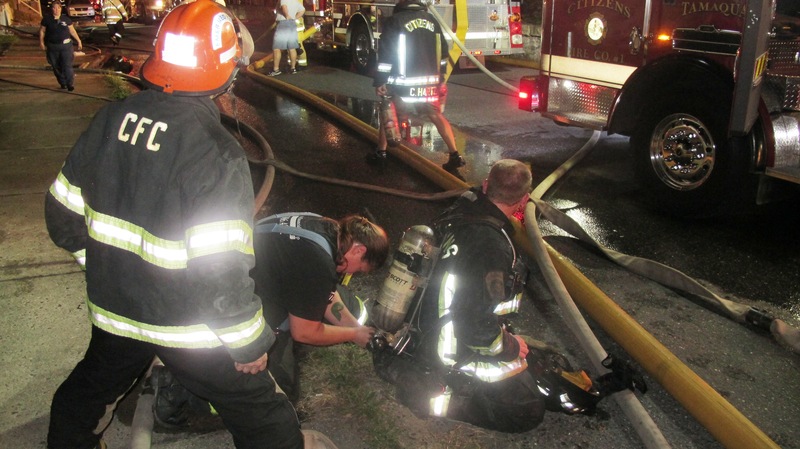 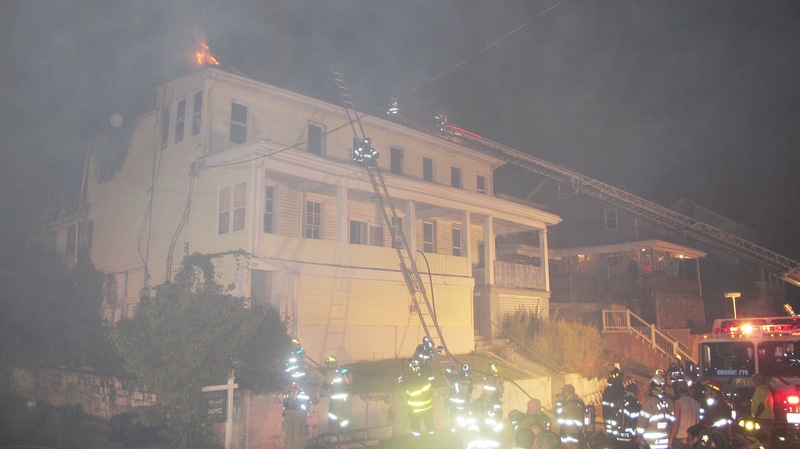 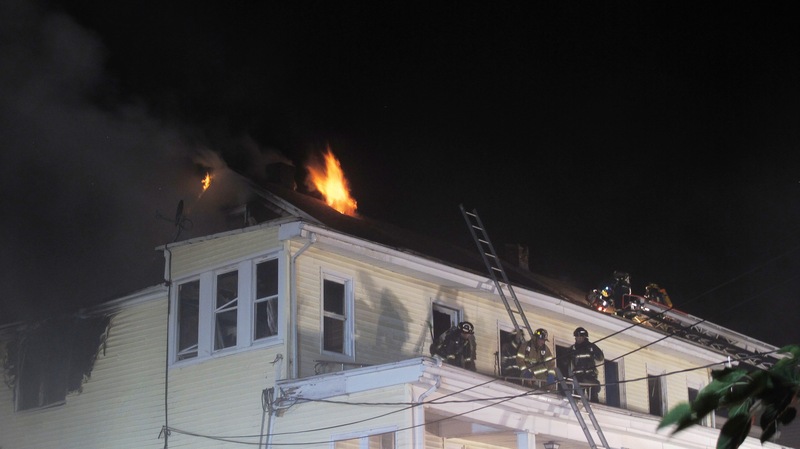 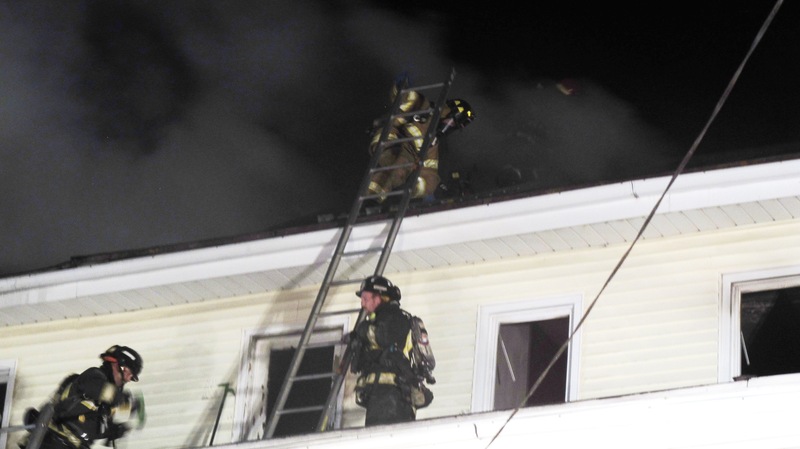 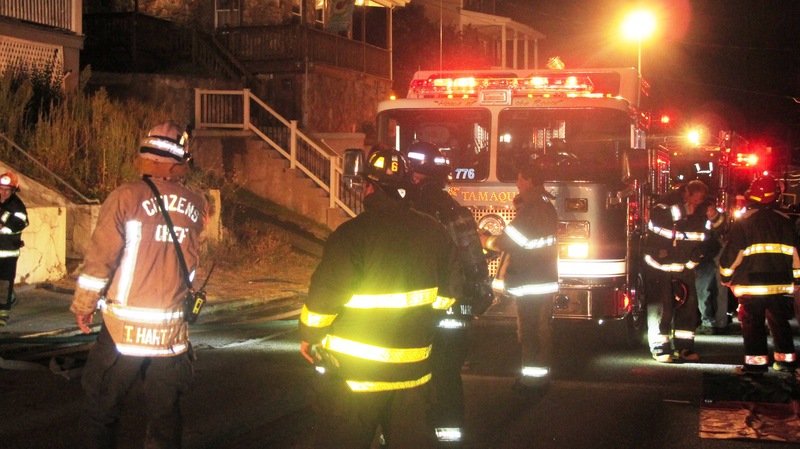 An unidentified firefighter was treated for exhaustion. 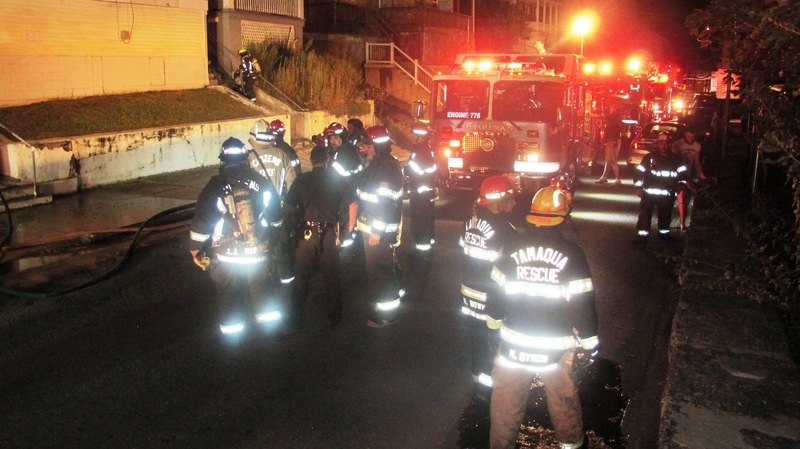 Responding were Tamaqua Police, fire companies from Tamaqua, Coaldale, Lansford, Summit Hill, Tamaqua Rescue Squad and others. 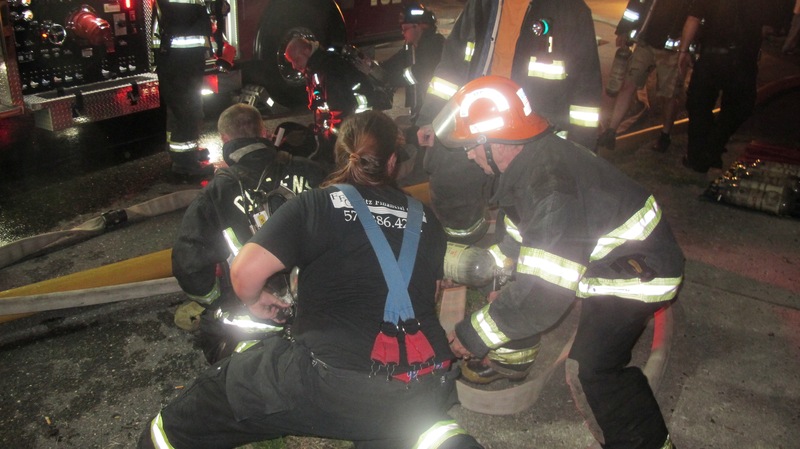 Ryan Township EMS, who set up two locations, provided rehab for all the emergency responders on scene. 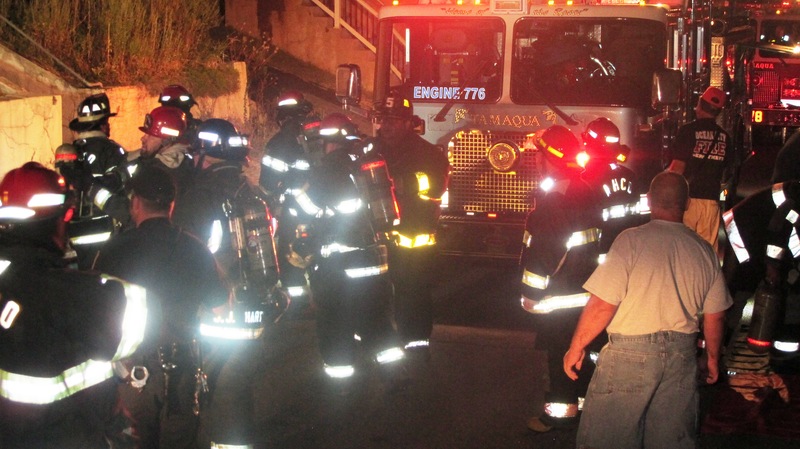 Tamaqua Fire Police volunteers directed traffic away from the area. 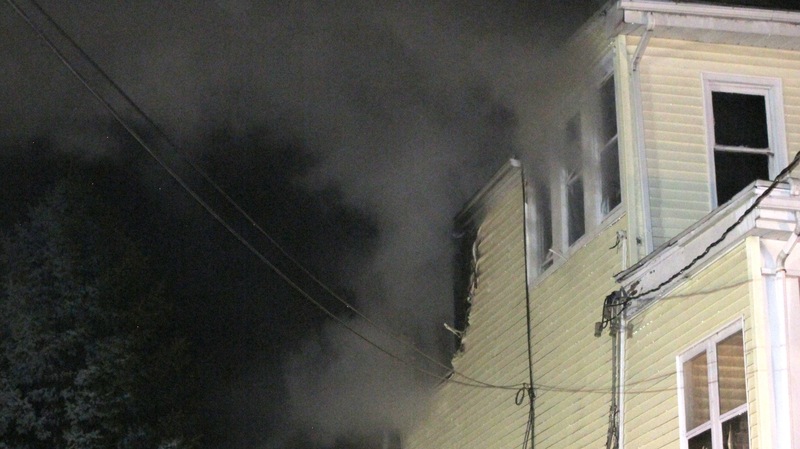 Also, responding were volunteers with Tamaqua Salvation Army, American Red Cross and Tamaqua Volunteers group. 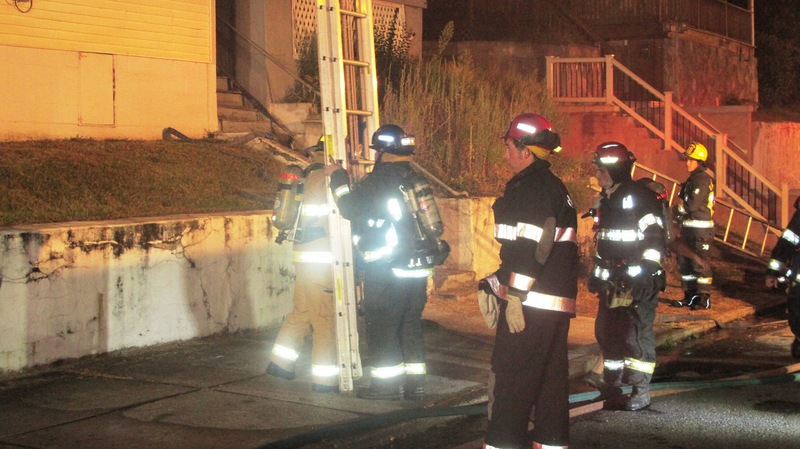 The Tamaqua Salvation Army is providing temporary housing to one of the apartment’s tenants. 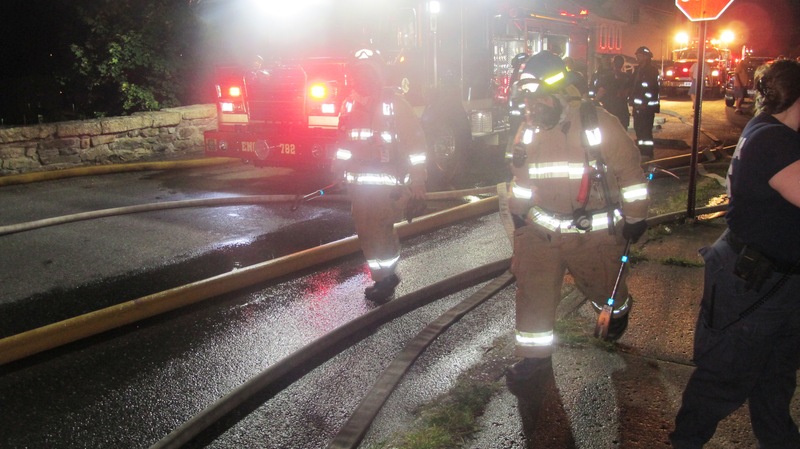 They encourage all other fire victims to keep in contact with them regarding housing, future furniture/appliances and other needs. 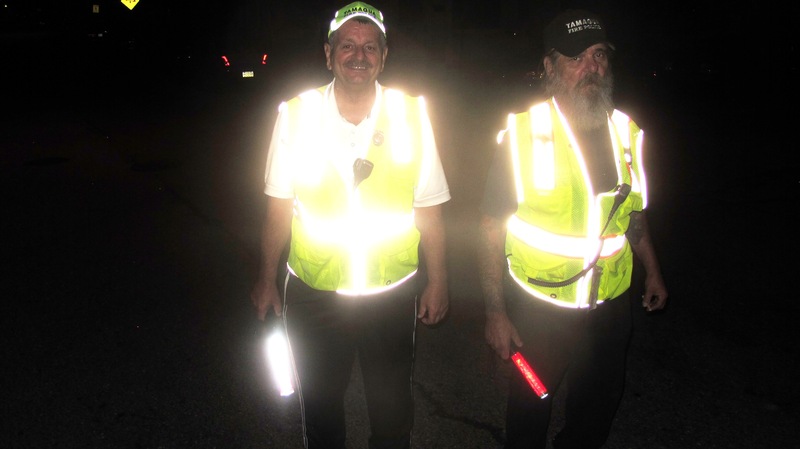 Their phone number is 570-668-0410. 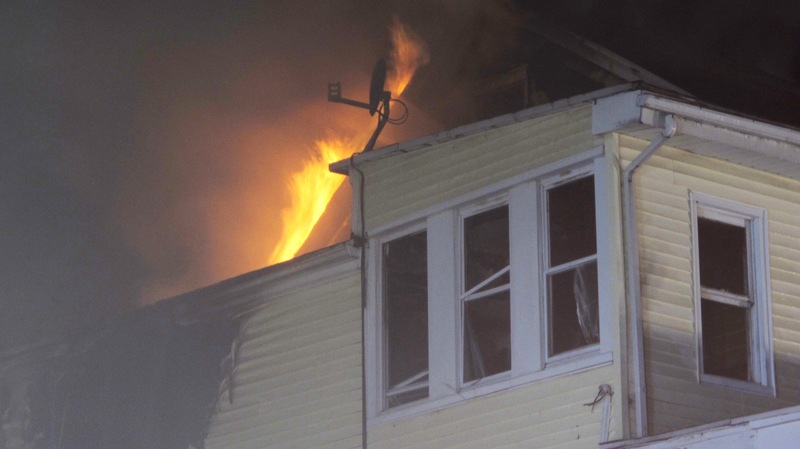 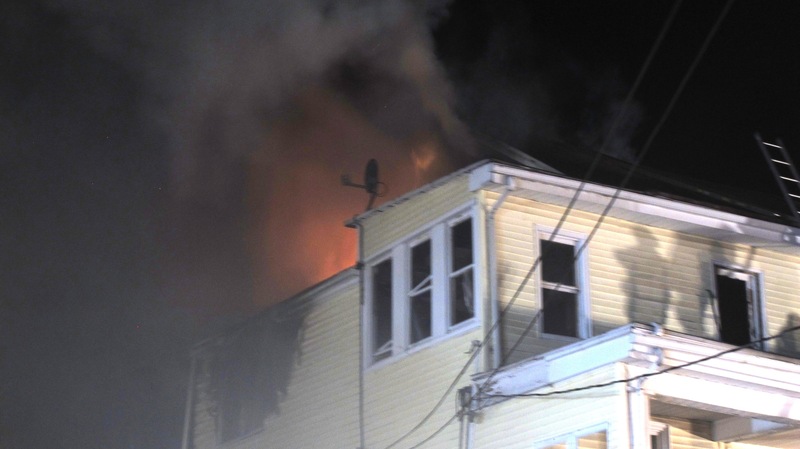 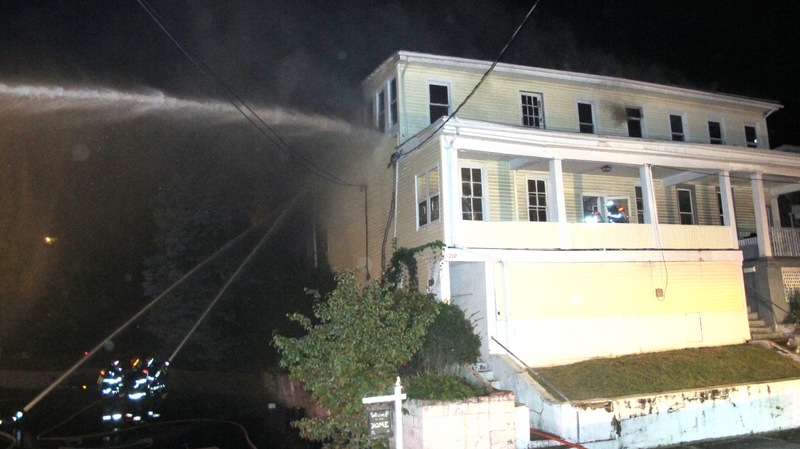 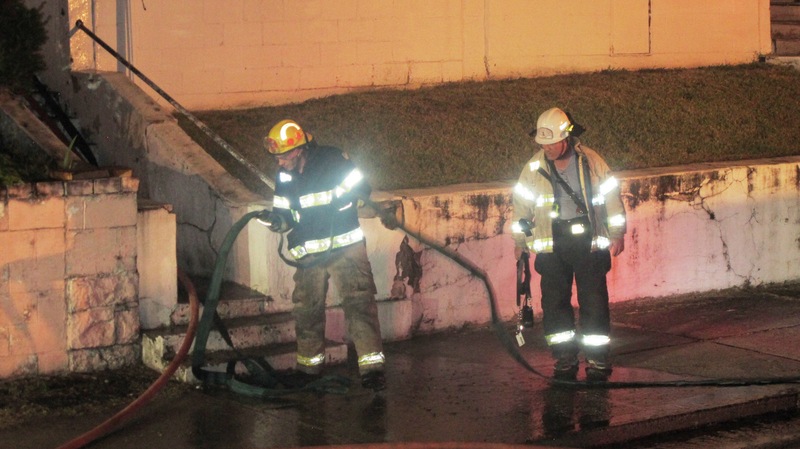 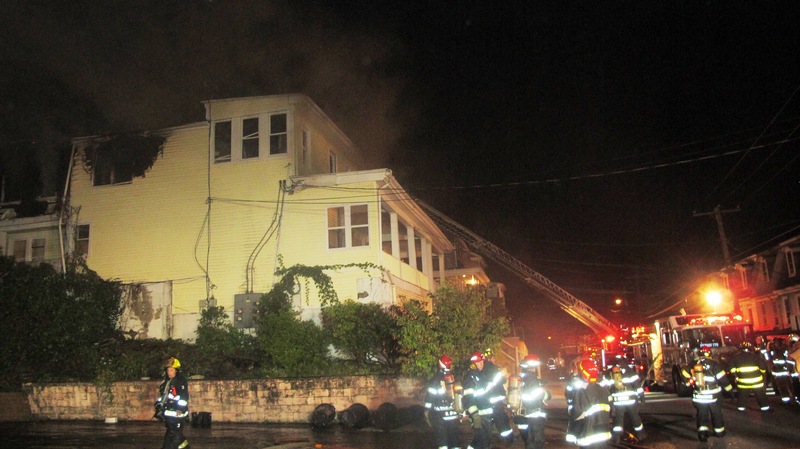 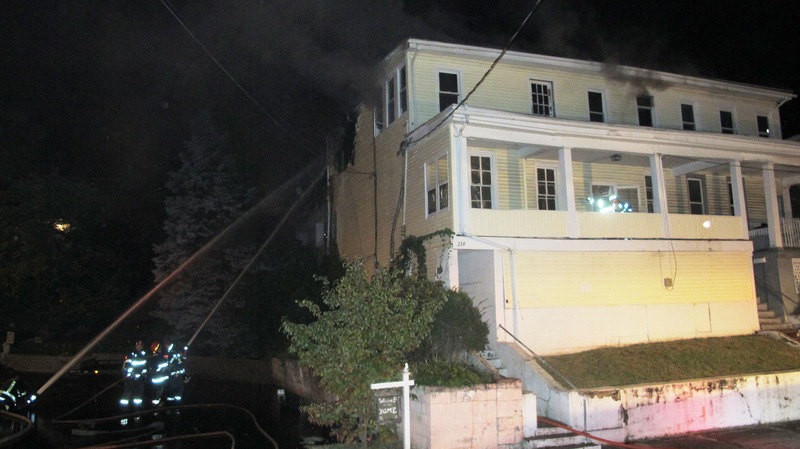 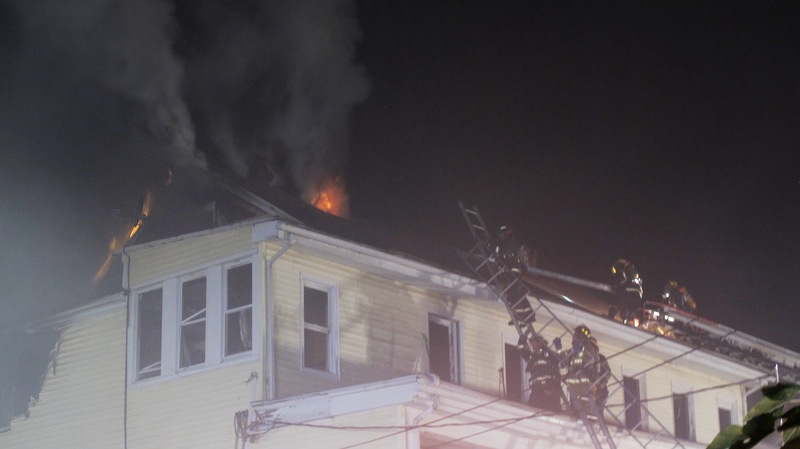 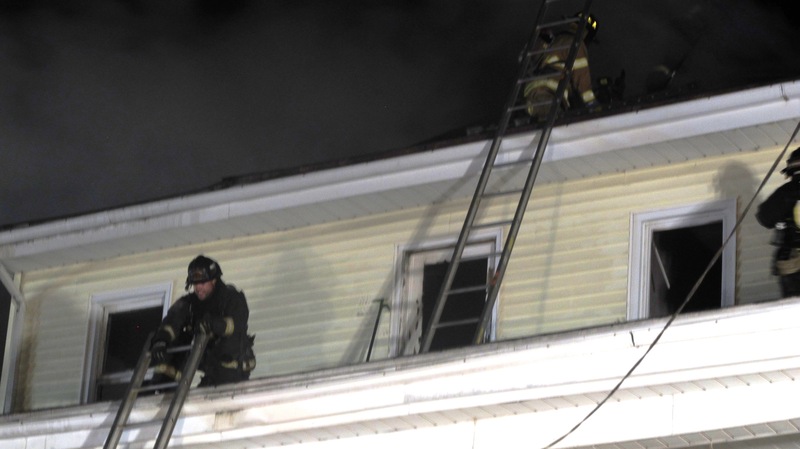 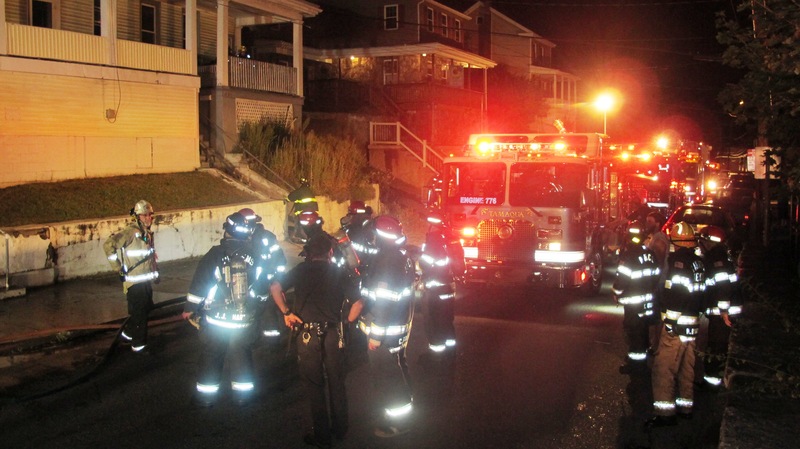 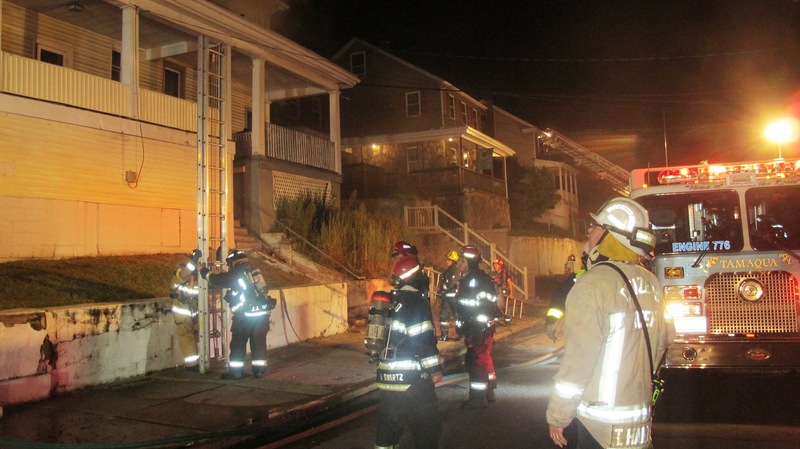 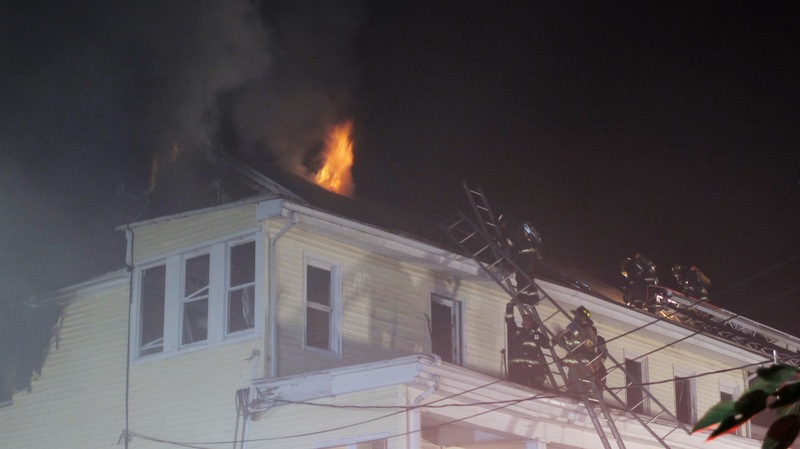 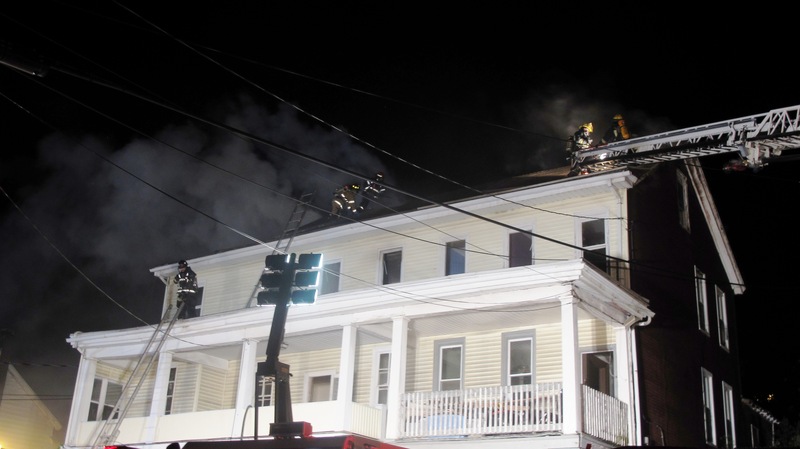 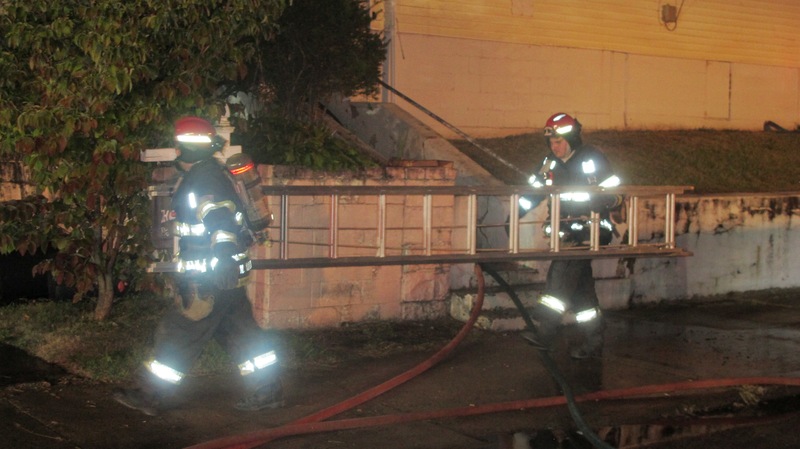 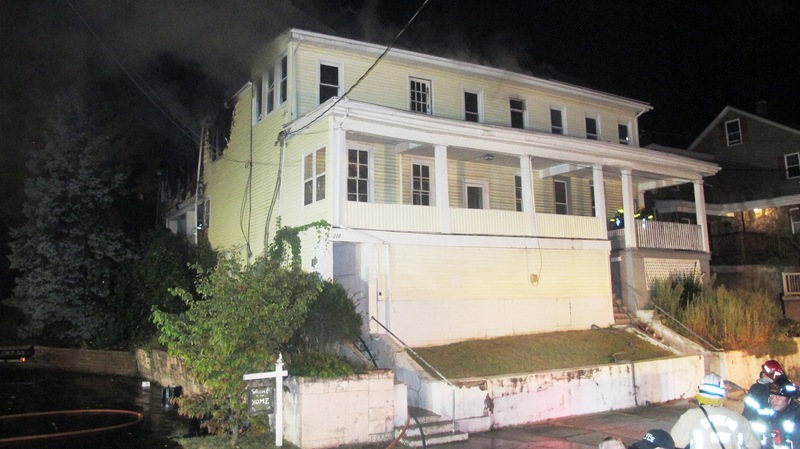 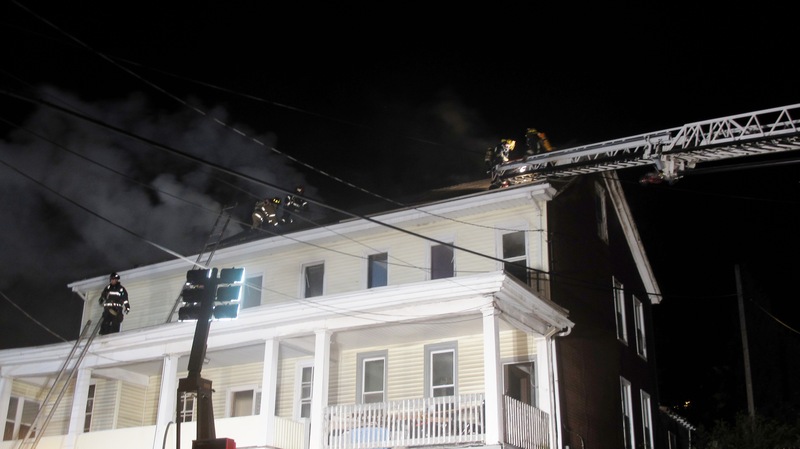 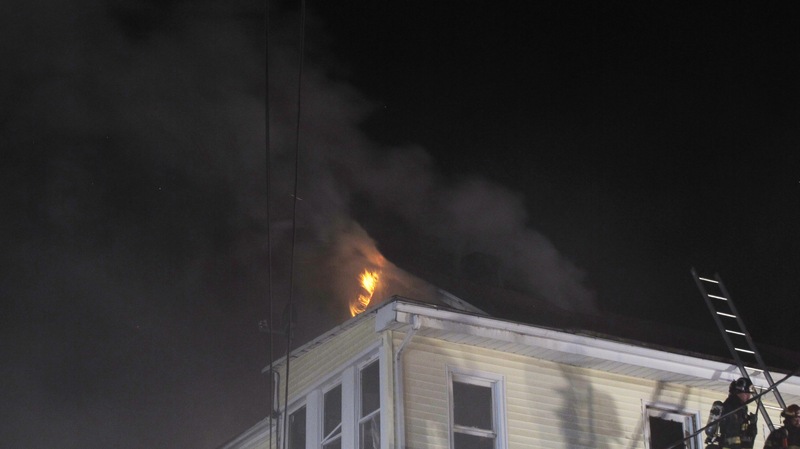 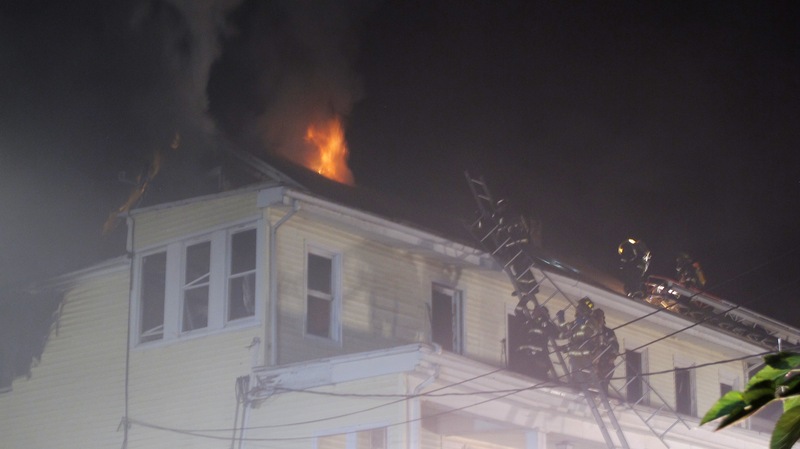 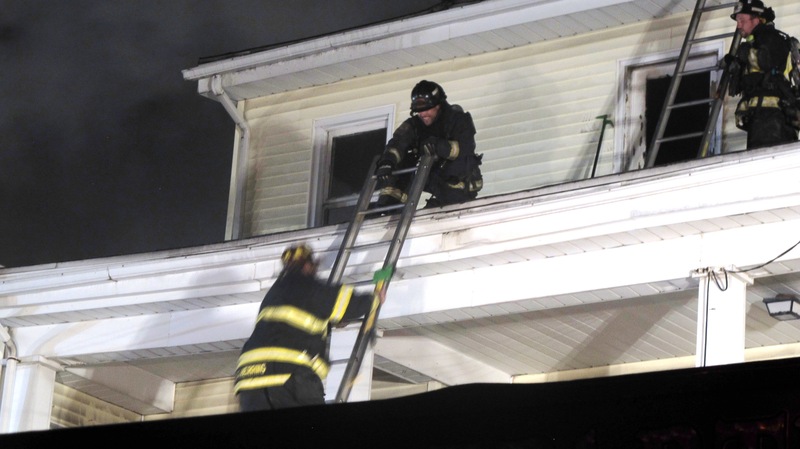 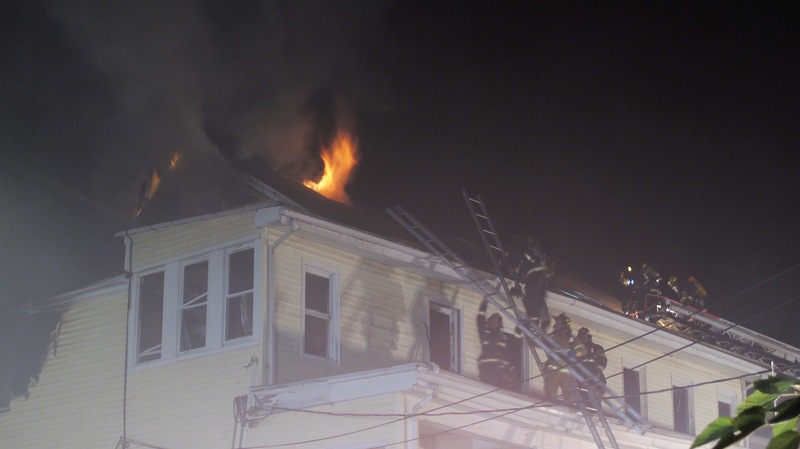 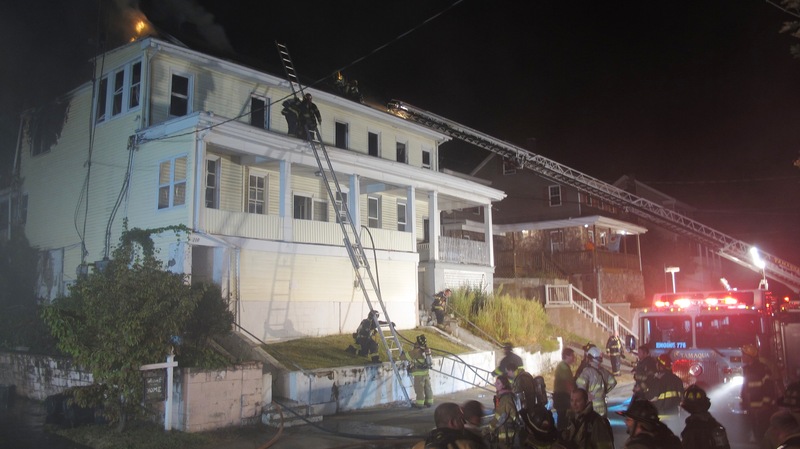 Tamaqua Fire Chief Tom Hartz stated the cause of the fire as careless smoking. 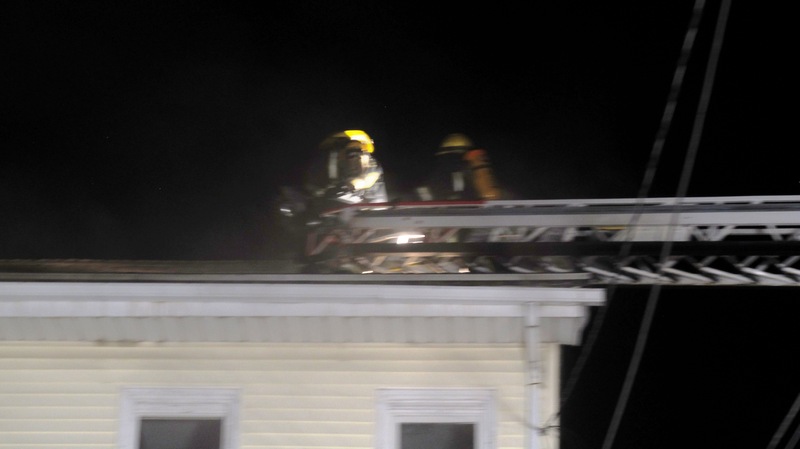 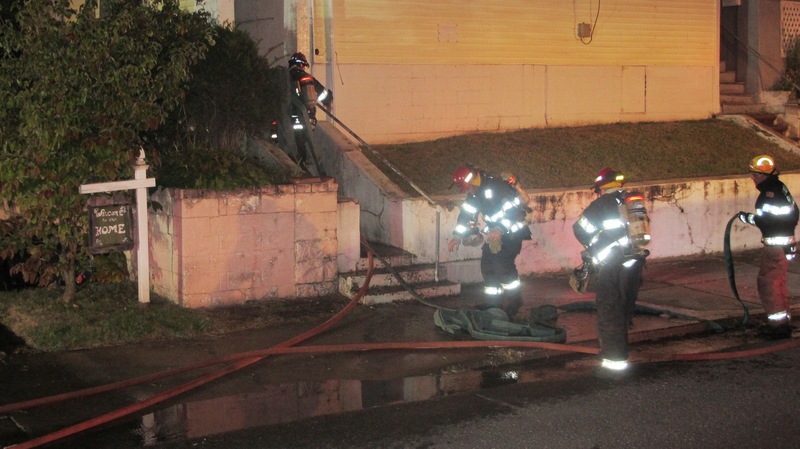 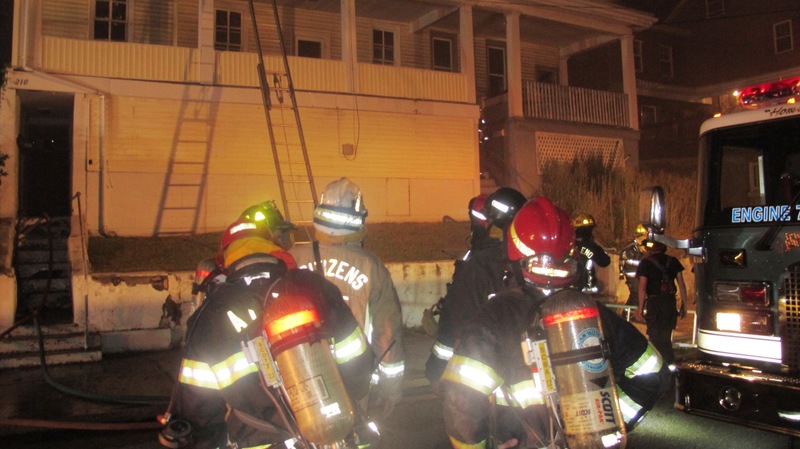 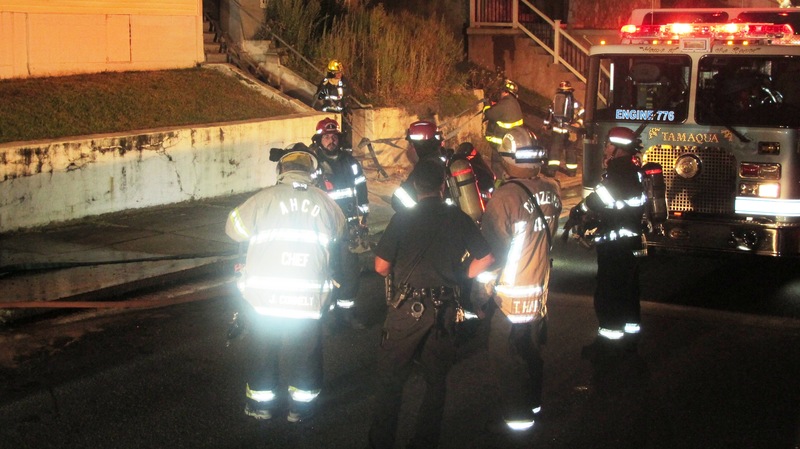 At 6:50 AM this morning, Citizen’s Fire Company in Tamaqua was dispatched to the apartment building under normal flow. 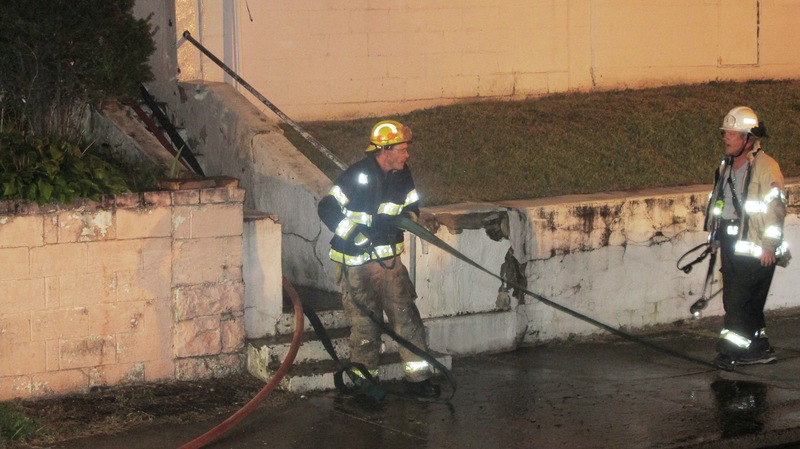 Click HERE to view the story in the Morning Call newspaper. 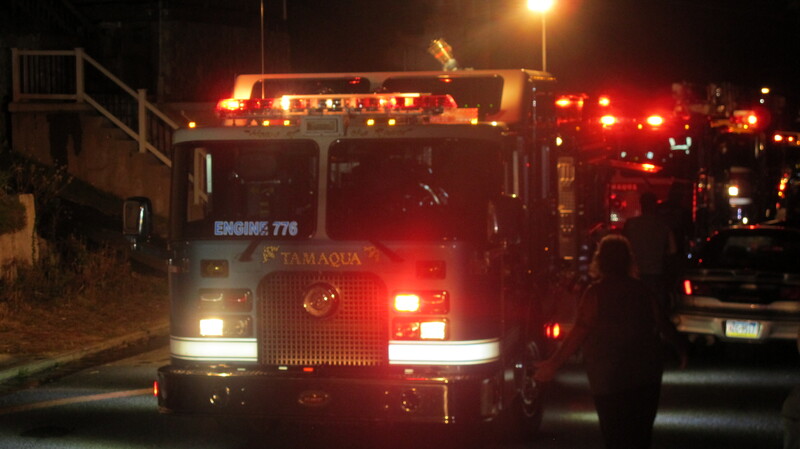 (credited TamaquaArea.com). 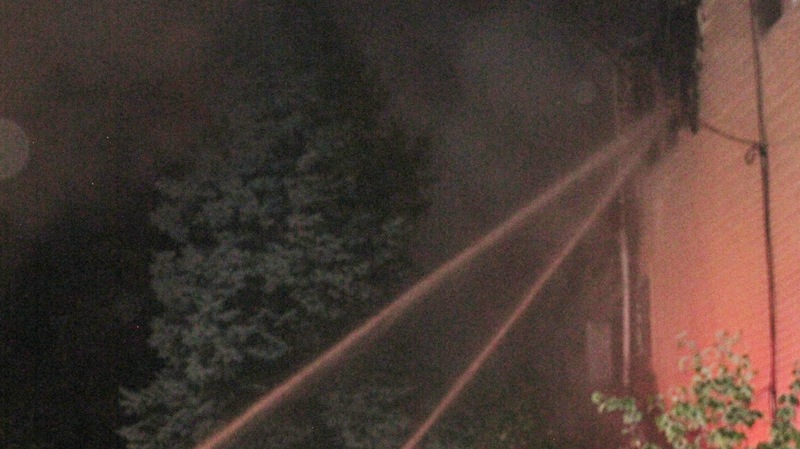 (Keep in mind I don’t have a replacement camera yet. 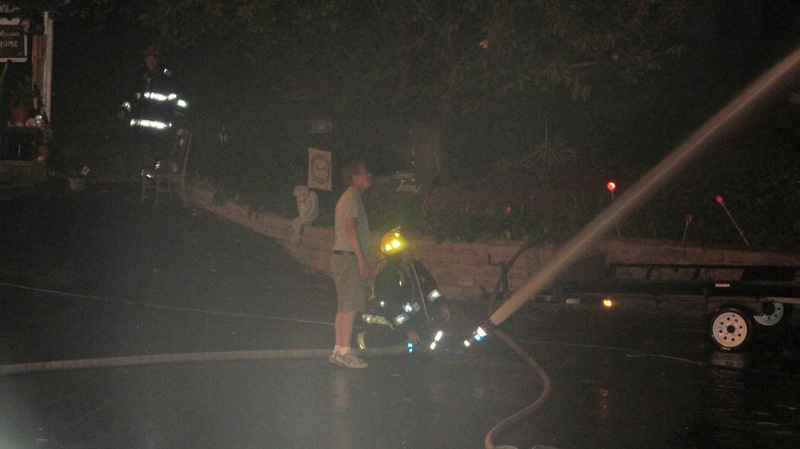 Also I opted to spend most of my time helping victims and firefighters. 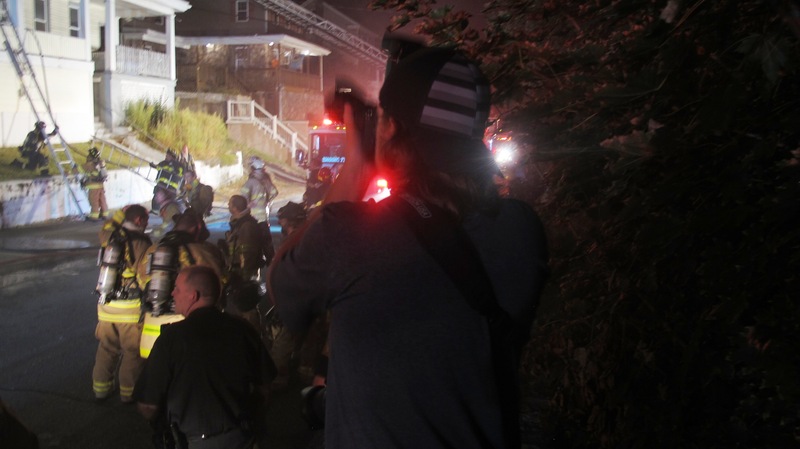 So I didn’t take that many photos).